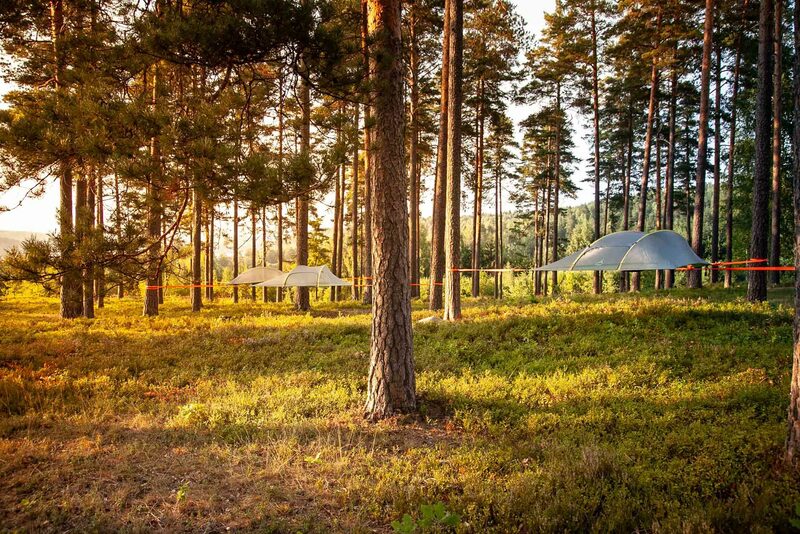 Imagine this: Tentsile Experience Camp Hiidenvesi infiltrates you into an artistic setting of Joutsela villa yard - an area famous for its inspiring scenery. 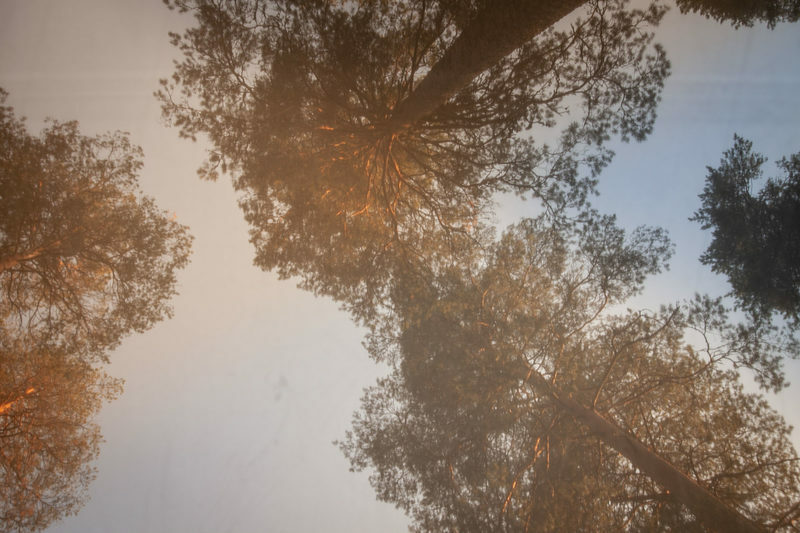 Finnish classical artists such as Helene Schjerfbeck have been awed by landscapes around lake Hiidenvesi, be prepared to experience the same eye and soul soothing views. 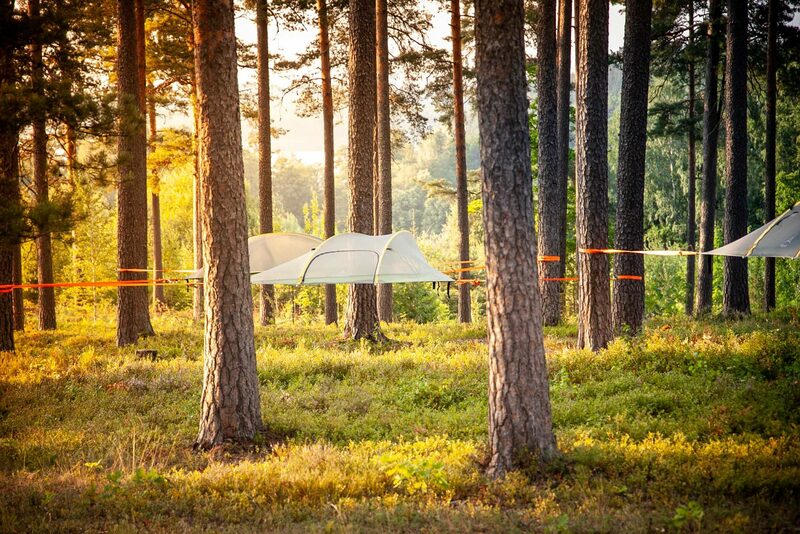 This Tentsile Experiense Camp is set on a historic and elegant area in Joutsela manorvilla grounds. 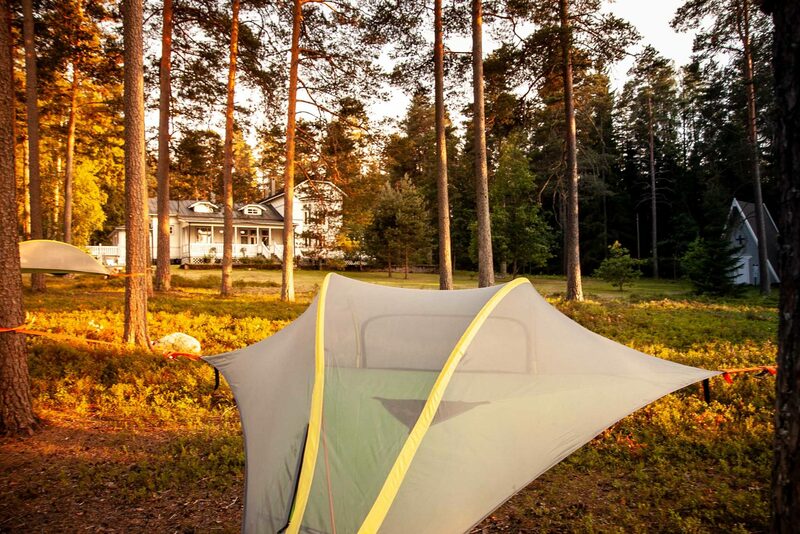 The estate built in the 19th century with the idyllic chapel at site provides a unique environment for your Tentsile experience! This is an easy and high-quality venue for you to get familiar with the concept of "skytents" and sleeping "in the air" without the burdens of travelling somewhere way back yonder. Breakfast is always included in your experience and it will be served on the charming terrace of the villa. There is a recently renovated sauna at site, which guests can book by a request. Located in town Nummela, only 45 minutes from Helsinki city centre and Helsinki-Vantaa airport, you are guearanteed to have serene and pure nature around you without a trace of city buzz. Nummela town centre is within a walking distance for those wishing to benefit from its services. 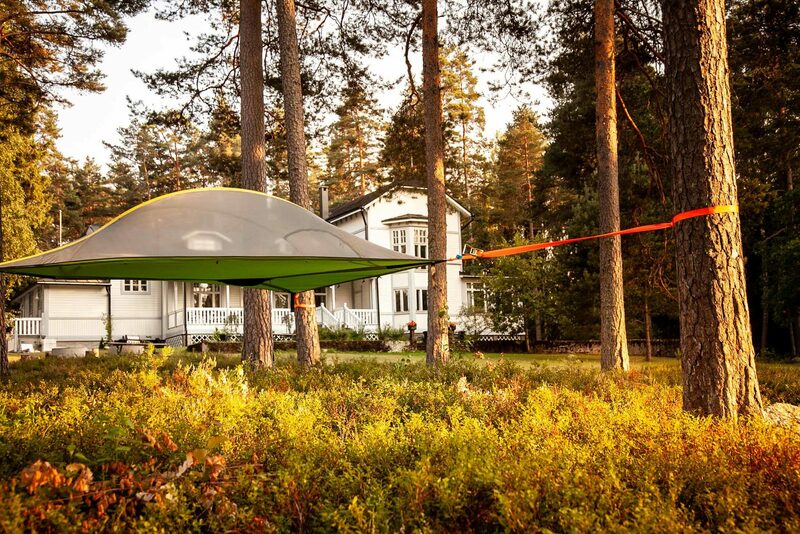 This is noteworthy for guests who are travelling green, as it's possible to take public transportation from Helsinki to Nummela, and then have a half-an-hour stroll to Hiidenvesi Tentsile Camp. We highly encourage you to consider this option. Have a memorable experience with friends, spouse or family, or treat yourself only in this unique environment. Enjoy an evening by a campfire with a view over lake Hiidenvesi. 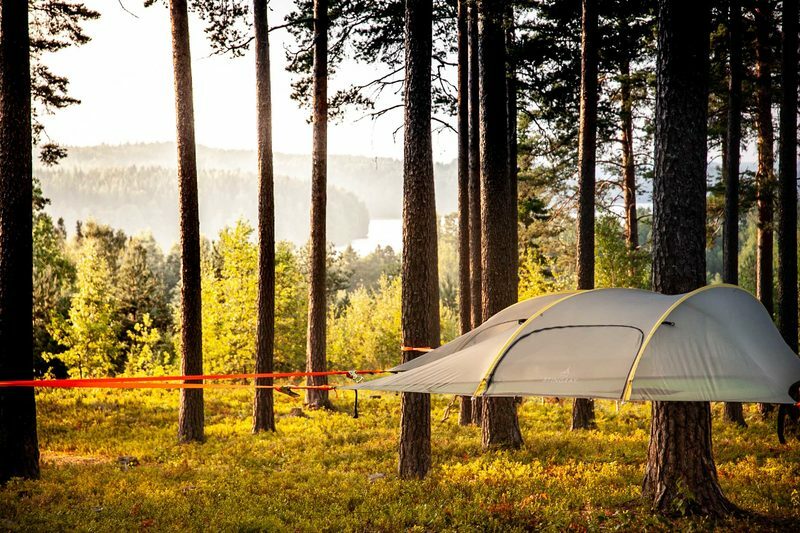 When the night falls lay down (up) on a Tentsile and relax, feel the peace, fall asleep and wake up next morning to greet the sun. 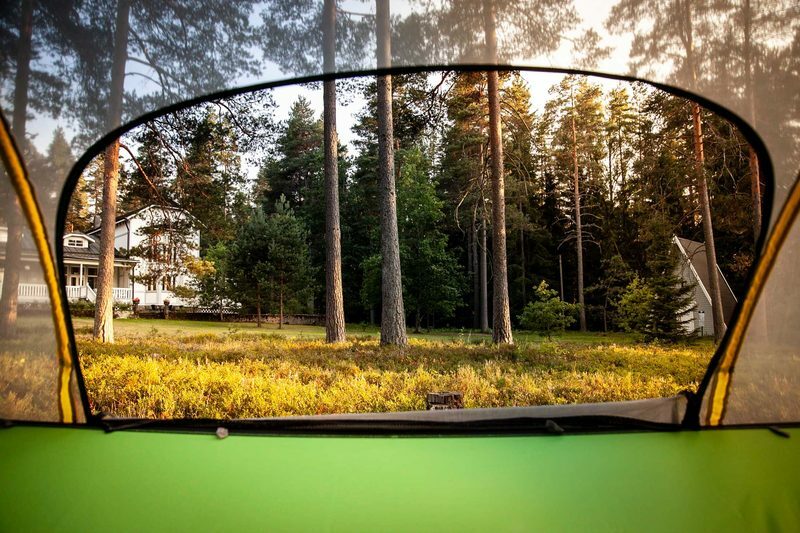 Kokkokallio-hill with a fantastic scenery (1 km), best spot for sunset gazing in the region! 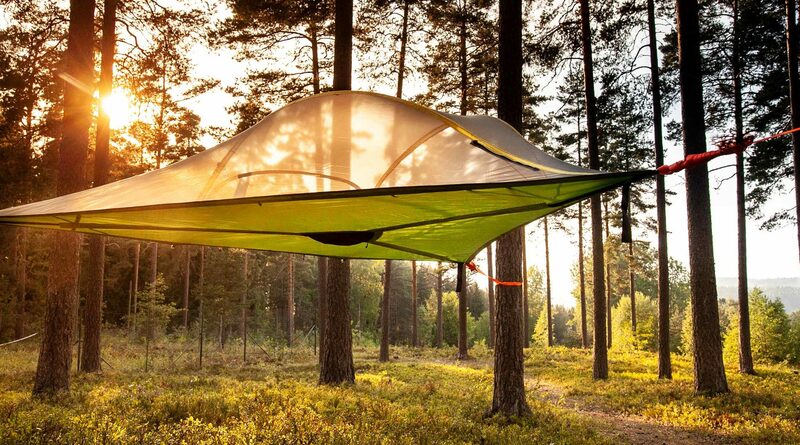 Tentsile is available for guests from 15.00 on the day of arrival to 12.00 (noon) on the day of departure. More detailed instructions are provided to the guest on a separate reservation confirmation arriving after ordering. Airy pinewood forest with smooth forest floor, easy to walk around. Scenery to lake Hiidenvesi. 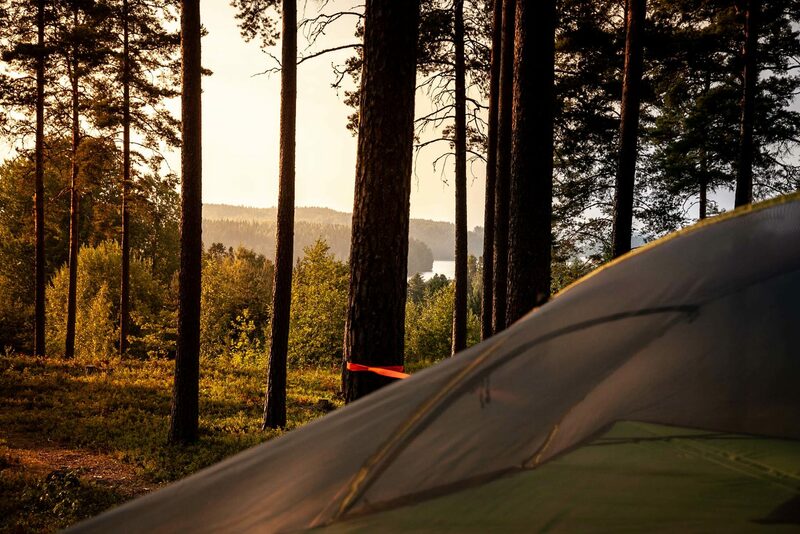 All activities along with the Finnish concept "freedom to roam" (hiking, biking, picking berries, enjoying nature). Boat and bike rental.